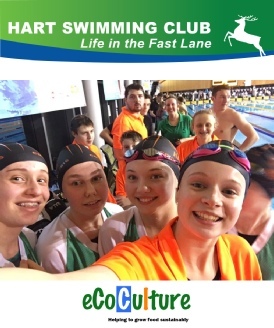 EcoCulture is very pleased to announce that it is continuing its sponsorship with Hart Swimming Club for a further year. This will be the third year of sponsorship and Ecoculture is very pleased to be able to support such a friendly, well-run club as part of its commitment to local community sports. The sponsorship will help fund some much needed equipment required for the successful operation of future galas and open meets, and will provide much welcome opportunity for its younger swimmers to compete in open competitions from all over South East England. Ecoculture wish Hart SC every success in the 2017 season and to enjoy their fantastic new home pool in Fleet, Hampshire. ‘NH Delta Ca’ plus XStress increases Spring Barley yield by over 10% and Nitrogen use efficiency by 20%. jmoreno on ‘NH Delta Ca’ plus XStress increases Spring Barley yield by over 10% and Nitrogen use efficiency by 20%. Curious on ‘NH Delta Ca’ plus XStress increases Spring Barley yield by over 10% and Nitrogen use efficiency by 20%. Marjorie lopez on ‘NH Delta Ca’ plus XStress increases Spring Barley yield by over 10% and Nitrogen use efficiency by 20%. PO Box 58, Timaru, NZ.